Michael Welch, 59, passed away unexpectedly surrounded by family on Aug. 14, 2018. Mike was born in Ventura, Calif., to David and Viola Welch and grew up in the Ojai Valley. Married in 1994, he moved his family to Tehachapi, where he lived until his passing. He was a doting grandfather of three with another one on the way. Mike was a motor sports enthusiast, including in the 1980s when he was a member of a drag boat racing team. He was a NHRA member, attending the March Meet and Hot Rod Reunion at Famoso every year. A NASCAR fanatic, he loved going to Las Vegas and Pomona with his son James, best friend Don Morrison and his wife, Donna. They enjoyed many years of banter over the NASCAR races. He was also a diehard Rams fan. Mike was a proud UFCW Local 1036 and Local 8 member. He worked for Albertsons Inc. for an impressive 39 years, where most of his lifelong friendships were made, and where he worked until he passed. He is proceeded in death by his parents, David and Viola, and brothers Richard and Dennis. He is survived by his son James Welch, daughter Devin Johnson and their mother Madeline Welch; his grandchildren Deegan, Savannah, Connor and Cullen; his niece Darcy Gregorchuk and her family of Ventura; his sister, Donna Garner and her family in Missouri. 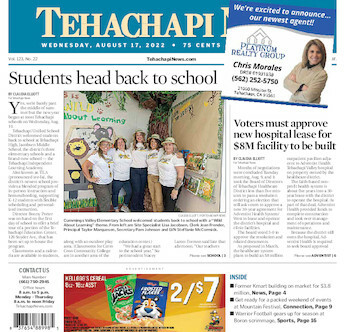 A Celebration of Life is being planned in Tehachapi and Ojai.